Princess Magnolia is having hot chocolate and scones with Duchess Wigtower when . . . Brring! Brring! The monster alarm! A big blue monster is threatening the goats! Stopping monsters is no job for dainty Princess Magnolia. 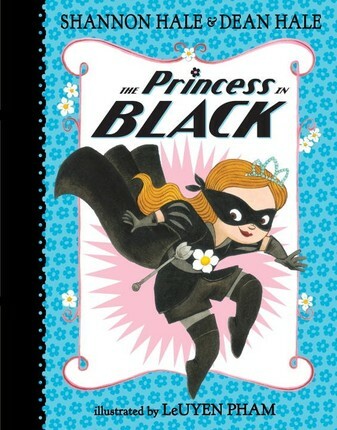 But luckily Princess Magnolia has a secret — she’s also the Princess in Black, and stopping monsters is the perfect job for her! Can the princess sneak away, transform into her alter ego, and defeat the monster before the nosy duchess discovers her secret? From award-winning writing team of Shannon and Dean Hale and illustrator LeUyen Pham, here is the first in a humorous and action-packed chapter book series for young readers who like their princesses not only prim and perfect, but also dressed in black. 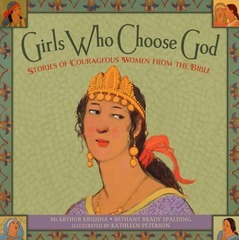 . .
New York Times best-selling author Shannon Hale knew at age ten it was her destiny to become a writer. She has quested deep into fairytales in such enchanting books as The Goose Girl, Book of a Thousand Days, Rapunzel's Revenge, Newbery Honor winner Princess Academy, Ever After High: The Storybook of Legends and Ever After HIgh: The Unfairest of Them All. With the princely and valiant writer Dean Hale, Shannon co-authored four charming children, who are free to follow their own destinies. Just so long as they get to bed on time. My daughter has been reading this series since 2nd grade and still loves it now that she’s in 3rd!